I did use a spotting scope to get on paper...and to establish my hold for those groups. 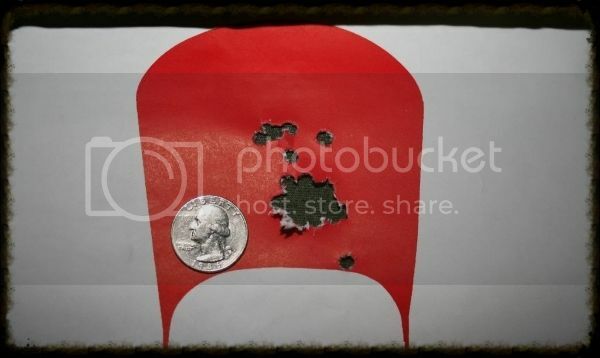 Does anyone else have some pictures of their range targets they would like to share...!? Could not get the photo to upload. Will try again later. Until this last post, I have uploaded from my machine. Did something concerning uploading change? Thanks Shooter...I'll pass on Photobucket. Don't need to create another account just to post photos. Posted this target previously. Might be somewhere on this site. My last quals as a deputy sheriff in 2002. Also my last range. 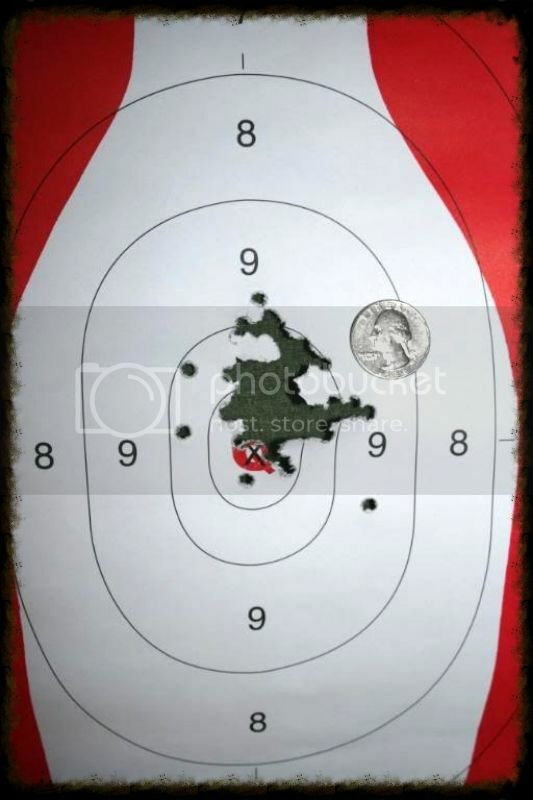 Twenty-five yards standing. The fliers are when we changed from dominate hand impromptu. My right to left. The 5 fliers are coming back on the vitals. 1942 S & W M&P 38 special... This was BG (Before Glock) carry. 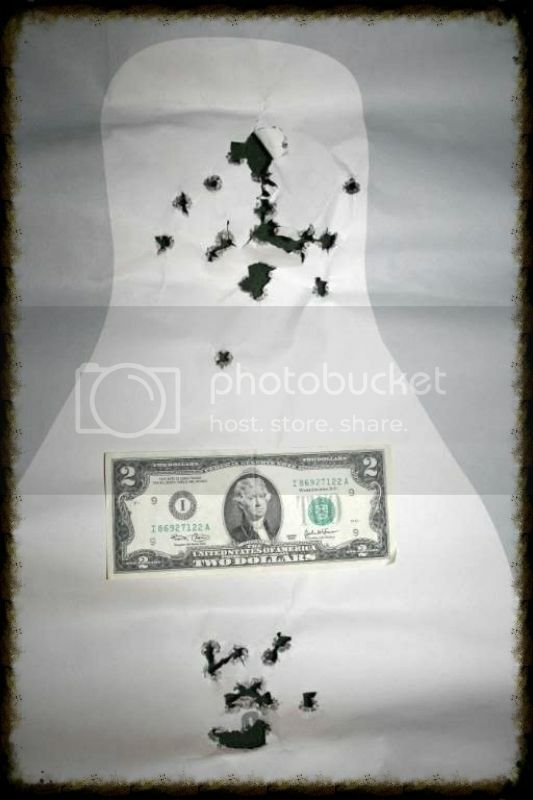 As I posted somewhere previously....I did not survive thirteen-months in Korea by being a sloppy shooter or slow runner. The M1 Garand is one hallava accurate rifle. Had a 45 19llA1 as backup. A bayonet and KA-BAR for last man standing. Thank God, I never had to get that close. Thank you for your service Marine...! !